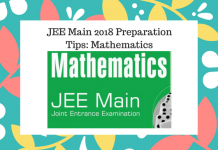 Home JEE Main - Joint Entrance Examination Main How to prepare JEE Main 2019 Mathematics? JEE Main is one of the most important examinations in India with around 1.3 million aspirants every year. Candidates preparing for JEE Main generally find Mathematics to be the toughest of the three. Cutoff scores for mathematics are generally the lowest. Candidates need to have a thorough knowledge of all the concepts to solve the questions in JEE Main 2019 Mathematics. 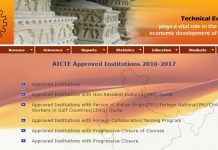 Questions in JEE Main are generally implementation of two or three concepts from NCERT’s. 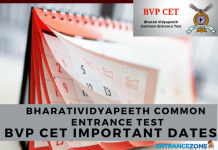 JEE Main 2019 Exam will occur in January and April 2019. Candidates may find the following article helpful to prepare for JEE Main 2019 Mathematics. 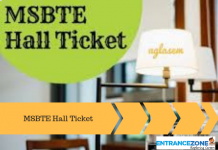 NCERT is the most important resource for preparing for JEE Main 2019 Mathematics. Aspirants should solve each and every question in the textbook properly and understand all the concepts. Apart from NCERT, Candidates can refer to some of the following books for a better understanding of some concepts. Some of the most popular coaching institutes in the country follow these books for students preparing for JEE Main 2019 Mathematics. Candidates can refer to these books in case they need detailed understanding or more problems to solve from some concepts. Note: The aspirants should solve NCERT properly. EACH AND EVERY question is important. Generally, the questions in JEE Main are a direct implementation of two-three concepts. Candidates should solve previous years question paper and analyze their performance. There are some topics from which questions are more frequently such as Calculus and Coordinate Geometry. Candidates should take a note of such topics and give them more time than others. Candidates should search for the topics they are weak in. They should give more time to such topics in order to enhance their understanding of the same. According to Ramesh Batlish, FITJEE (Centre Head), the following are some of the most important topics in Mathematics. Mathematics was the harder as compared to Physics and Chemistry in JEE Main 2019. Ramesh Batlish from FITJEE said that it was an overall balanced paper. A number of questions were asked from class 11th syllabus as compared to class 12th. Thus the candidates should give equal importance to both the years and prepare accordingly. 67% of the questions in Mathematics was considered to be of medium difficulty and 33% were hard. There were some difficult questions as reported by FITJEE Students. Thoroughly prepare from NCERT Mathematics. Use Reference Books when needed. Solve previous year’s question paper. Give more importance to frequently asked topics. 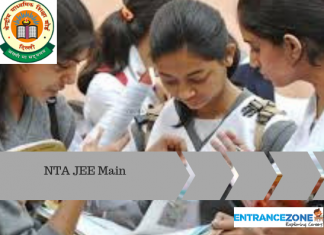 For more details regarding JEE Main 2019, Candidates can visit EntranceZone.Com. Which section is time-consuming and tricky? Atharva, it depends on your preferences. Physics – highly conceptual. you will have to understand the concepts. this needs thorough reading. Mathematics – need practice (was the most tricky one for me). You will have to solve a lot of questions in it. Chemistry – this shouldn’t be time-consuming. All you have to do is focus while learning so that you don’t forget. Make notes so that you can revise frequently. How to plan strategy to prepare for mathematics in JEE MAIN? I mean which area to be focused more? Sakshi, It varies every year. last year more number of questions were asked from 11th. Generally, more questions are asked from coordinate geometery, 3D Geometry and Diffrential Calculus. solve as many questions as you can from ncert and other reference books. you can check last 10 years question papers for paper pattern. Any tips to improve the mathematics section?